Why Fraser Anning's reaction to egg boy is so concerning. What The Project panel nailed about Fraser Anning's response to being egged by a teenager. 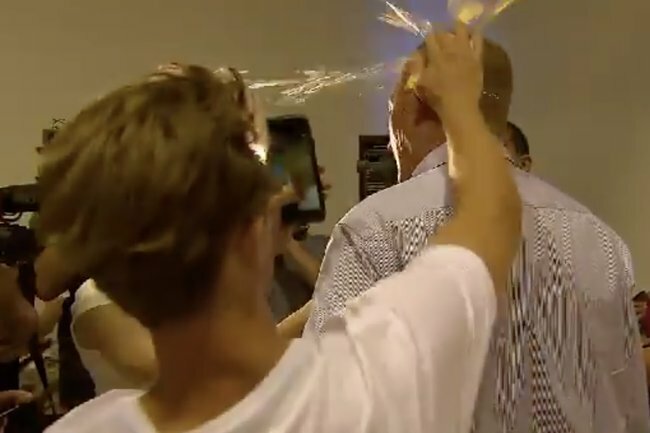 On Saturday, in the wake of Fraser Anning’s deeply disrespectful comments about the Christchurch terror attack, 17-year-old Will Connolly cracked an egg into the head of the controversial senator. But as the footage went viral, many Australians felt somewhat uncomfortable about the altercation that followed. While discussing the egging – where the teen hit Anning in the back of the head with an egg and then was struck twice by the senator before being tackled to the ground – The Project co-hosts Tommy Little and Steve Price agreed on what they found most concerning. “I understand the first hit,” Little said. “The kid comes at him with an egg, he doesn’t know what it is, he turns around and slaps him. “But it’s the second hit that I have a bit of an issue with. What Little nails about the situation was that Anning’s first hit on the teenager was an instinctual and instant reaction to being struck – maybe not what everyone’s first reaction would be, but something understandable. Then he punches the teen again, with more force. This time the 69-year-old’s hit isn’t out of instinct, but rage. It’s a violent move that makes the senator’s actions far exceed the harm and malice of the boy’s. Price agreed, saying that while we “can’t endorse politicians being out in public and being attacked”, he felt that Anning should suffer serious consequences. Listen to Mamamia’s daily news podcast. Post continues after audio. While the prime minister hasn’t condemned Anning’s reaction to being egged, Scott Morrison has labelled the comments he made that led to it as “disgusting”. 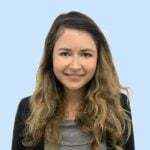 Following the Christchurch terrorist attack on Friday in which 50 people were killed by a far-right extremist, the Queensland senator released a statement that suggested Muslim immigration was to blame. Will Connolly – or egg boy, as he’s been dubbed – cracked an egg on the politician after this abhorrent statement at Anning’s press conference in Moorabbin, Victoria. And while he’s been labelled a hero by many, on Snaphat the teen seemingly regretted the egging after the physical violence he suffered next. “Don’t egg politicians you get tackled by 30 bogans at the same time. I learnt the hard way,” he said in the video.